This is a transcription of a pamphlet which was originally sold to the tourist trade in British Columbia. It describes a vocabulary of symbols which are incorporated into totem poles, including a representative myth for each animal. The Thunder Bird "TOOTOOCH" Legends have been written to explain the more important of the single objects carved on totem poles and other articles connected with totemism and the secret societies of the Northwestern Indian tribes. The legends tell how individuals as well as the tribes earned their crests as tokens of achievement and distinction. These stories have been passed down by word of mouth from time immemorial. For years the writer has received inquiries regarding the totemic designs of poles and basketry, and, in and effort to satisfy them, he traced the Thunder Bird Legend. First published in a stamp-size booklet that has had a circulation of 275,000 copies, it so excited the imagination of the tourists invading the Northwest that the Indians could not keep up with the demand for totemic objects. 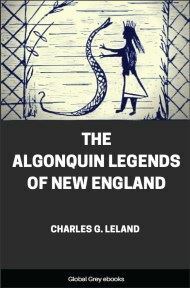 The designs in his book are from original drawings and carvings on totem poles at present in the possession of the author. They are the work of primitive-minded Indians of artistic ability, the most notable being Charlie James (Yakuglas of the Kwakiutls of Alert Bay). Other carvers have unknowingly contributed their truly excellent craftsmanship to this work, Jacob Louie and Herbert Francis of Nootka, and Titus Campbell of Port Essington being among them. 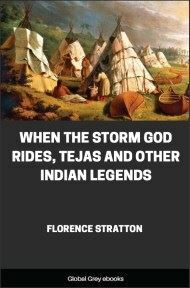 The stories have been collected during the past ten years from various Indian tillicums, and some have been taken from the works of Boas and Staunton, published by the American Museum of Natural History, New York City. These works were obtained through the courtesy of Mr. T. P. O. Menzies of the Vancouver City Museum, to whom the author wishes to express deep gratitude, as well as to other members of the Museum staff. Charlie James and those like him are endeavoring to preserve the arts of their people. In all too much of Indian craftsmanship the influence of the white man has corrupted the primitive conception of art: gaudy painting cannot cover poor workmanship. The Department of Indian Affairs could do much to re-educate the Indian along these lines by freely exhibiting collections of authentically old craftsmanship to the rising generation. The work of Charlie James, besides being on view in Stanley Park, Vancouver, and Lincoln Park, Chicago, has won an honored place in the collections of many noted collectors, including the Emperors of Japan and Siam. Under his guidance some famous mortuary posts have been reconstructed, and his present position of Instructor in the Art of Carving to the pupils of the Government Indian School, is one to which he is eminently suited. The author is indebted to Anna Wilson, a Haida Indian. for one of the folk tales of her people, and also to Oscar Peers of the King-come Inlet Band for the Legend of the Cod Fish. The description of the Thunder Bird Totem Pole of Stanley Park was contributed by Elline Newman of Alert Bay. It was originally intended that this work should be profusely illustrated in color by the excellent drawings of Mr. B. Slaughter, but it has been again found necessary to bring out this edition in a cheap and popular form, with black and white illustrations. These Legends are the key to the most important single objects carved on Totem Poles and used in decorative arts of the Indian Tribes of the Pacific Northwest. 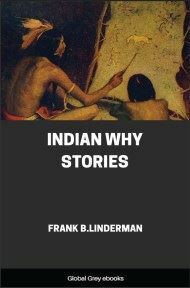 To the Indians who have adorned me with Knowledge Beyond Dreams.